Herbs that treat Liver Qi Stagnation are recommended to anyone who is experiencing pain in the ribs, abdominal pain, feeling stressed out, tight muscles and ligaments, overly emotional, irregular menstrual cycle, painful periods, PMS, indigestion issues or anyone who feels energetically blocked. These medicinal herbs for Liver Qi stagnation often have a dual function of promoting the circulation of both Qi and Blood. Herbs that promote the flow of Qi and Blood help to remove blockages in the lymph ducts, muscles, nerves, and digestive system, which can help resolve pain, reduce blood pressure, alleviate stress and heal emotional blockages. Most of the herbs that treat Liver Qi stagnation are beneficial in helping to detoxify the liver organ and help to regenerate Liver function of cleansing the blood and detoxifying heavy metals, by aiding in the production of Glutathione, Cytochrome P450 and other detoxifying agents made in the liver. These herbs may also help with the production of bile for the digestion of fats and the elimination of toxins. WOMAN'S BALANCE is an updates version of "Free and Easy Wanderer" also known as "Jia Wei Xiao Yao San". This is ultimately the most commonly prescribed Chinese herbal formula for Liver Qi stagnation and the many conditions that arise from a blockage in the bio-mechanics of the Liver's metabolic systems. 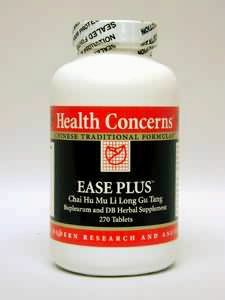 Chai Hu Long Gu Mu Li Wan (Ease Plus) is a widely used formula in the treatment of stress, anxiety, depression, insomnia, and even more severe psychological disorders such as bipolar disorder, drug addiction, and other OCD compulsive behavior. Chai Hu (Bupleurum root) is the principle Chinese herb in the treatment of Liver Qi stagnation causing emotional disturbance. Long Gu is fossilized bone and Mu Li is Oyster shell, both of which supply a large amount of very soluble and therefore a bio-available form of Calcium. Calcium very strongly calms the mind and works like a sedative to reduce anxiety, agitation, insomnia, and manic episodes which can lead to depression. This is a very classic Traditional Chinese formula which also helps to disperse mental cloudiness or brain fog which can stop you from being creative or present in the moment. Cinnamon, pinnellia, saussurea and ginger all help stimulate your metabolism to improve mental clarity and provide energy which will help to counterblance the sedative effects of Long Gu and Mu Li. Dosage: 3 pills, 3 times per day, before meals. Used as a protective aid against the toxic effects of environmental chemicals, pharmaceutical drugs (tylenol, vicodin, etc. ), paint fumes, fumigants, pesticides, toxic heavy metals, etc. 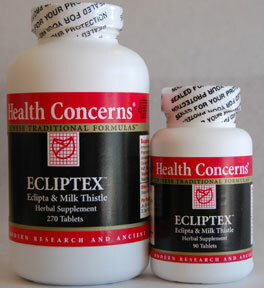 Ecliptex contains a combination of Liver cleansing herbs such as Milk Thistle, Curcuma tuber (Yu Jin), and Bupleurum (Chai Hu) with herbs that nourish the blood and help to regenerate new tissues such as Goji berries (Gou Qi Zi), Schizandra berries (Wu Wei Zi), Eclipta alba leaf (Han Lian Cao aka bhringiraj), and Salvia root (Dan Shen) to both detoxify the Liver and help it repair itself from chronic damage from environmental or dietary toxins. Proprietary Blend (750 mg) of: Eclipta Concentrate herb, Milk Thistle seed, Curcuma tuber, Salvia root, Lycium fruit, Ligustrum fruit, Bupleurum root, Schizandra fruit, Notoginseng root, Tangkuei root, Plantago seed, Licorice root. 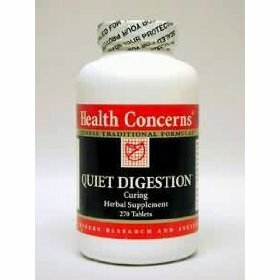 Quiet Digestion is an herbal formula that is very strong at reducing digestive complaints and contains many herbs for Liver Qi stagnation disturbing the digestive system. It is based on a successful patent formula (Curing Pills) and Bao He Wan, for gastrointestinal distress, including indigestion, bloating, over-eating and stomach flu. It is also a good hangover medicine useful for detoxifying the intestines. Angelica (bai zhi) and chrysanthemum (ju hua) expel wind, stop headaches, and relieve body aches. 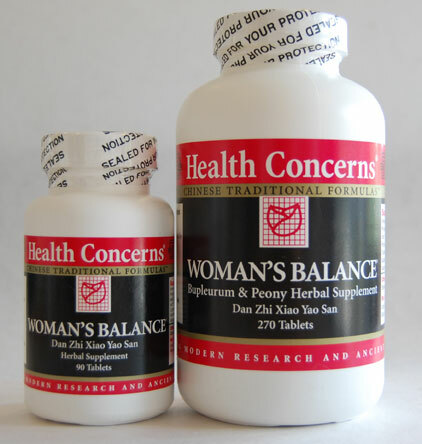 Mentha (bo he), pueraria (ge gen), and trichosanthes root (tian hua fen), Coix (yi yi ren), and poria (fu ling) supplement the spleen and eliminate dampness. Vladimiria souliei (mu xiang), magnolia (hou po), red citrus (ju hong), and pogostemon (huo xiang) regulate stomach qi, relieves nausea and vomiting, and dry dampness. 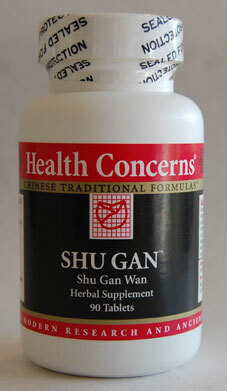 Shen qu and oryza (gu ya) strengthen the spleen, regulate digestion, and disperse food mass. Halloysite (chi shi zhi) warms the central burner and stops diarrhea. Treat gastric distress, including abdominal pain, sudden and violent cramping, nausea, vomiting, diarrhea, regurgitation, gastric hyperactivity, abdominal distension, poor appetite, and intestinal gas. Treat gastroenteritis, bacterial or viral. Treat motion sickness, hangover, and the effects of jet lag. Difficulty digesting and absorbing food nutrients. Adults: Take 2 tablets, 3 times per day between meals or 2 tablets with meals. Do not take this product if you are pregnant or nursing. Keep out of the reach of children.